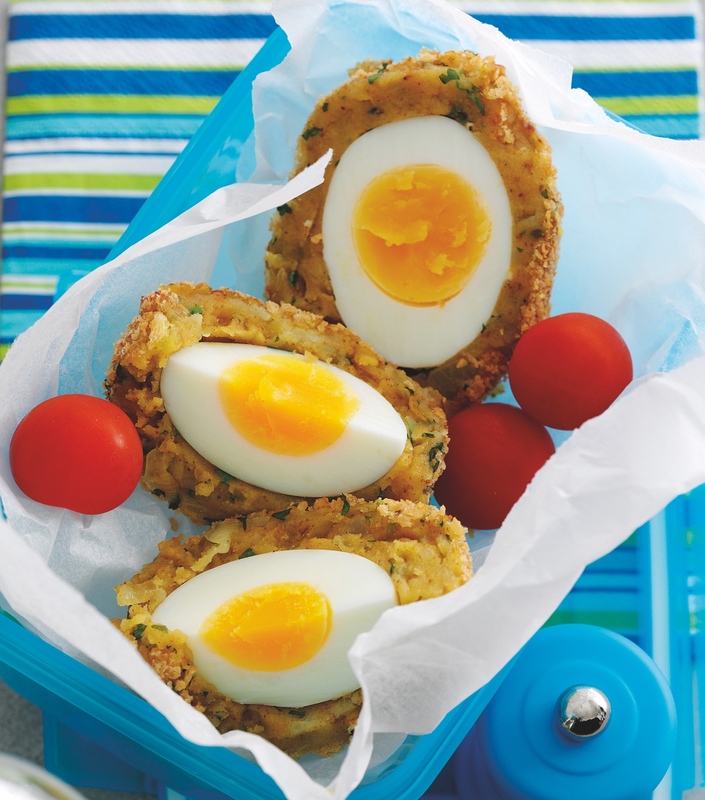 Ah, the humble Scotch egg… The perfect accompaniment to any picnic, party or ploughman’s. This gluten-free vegetarian version is delicious and feels lighter than its meaty cousin, but be warned – they’re incredibly moreish! 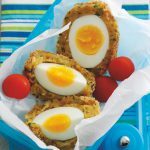 We absolutely love this Scotch egg recipe! The spicy potato coating is lighter and packs a more flavourful punch than sausage meat. Use British Lion eggs for best results. Cook the potatoes in boiling salted water until tender. Drain, mash and allow to cool. Place 4 eggs in a pan and cover with water. Bring to the boil and simmer for 5 minutes. Drain and rinse. Tap the shells all over and peel away from the eggs. Fry the onion in hot oil until soft. Add the chilli and curry paste and cook for 30 seconds. Remove from the heat and add the potatoes and coriander. Mix and season. Beat the remaining egg and place in a bowl. 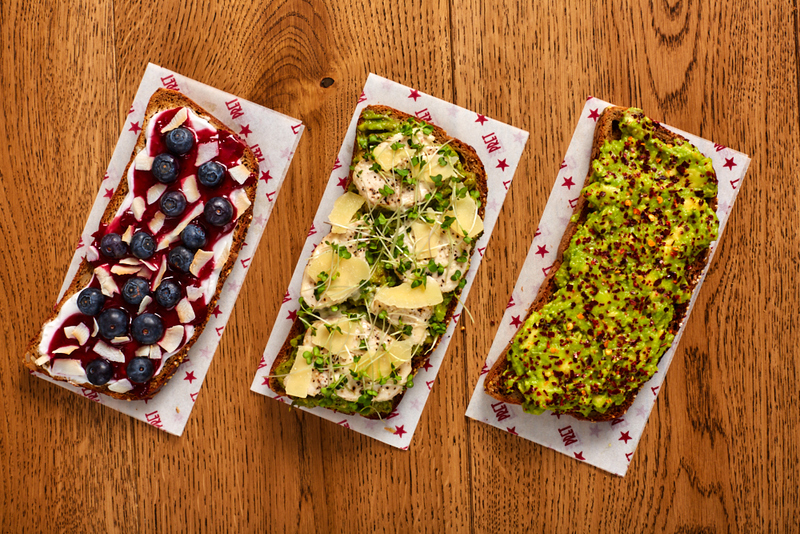 Sprinkle the breadcrumbs onto a plate. Divide the potato mix into 4 pieces. Slightly flatten one piece, place a boiled egg in the middle, then shape the potato around the egg to enclose it. Roll in the beaten egg and breadcrumbs until coated. Repeat with the other eggs. Preheat the oven to 180ºC/Gas Mark 4. Brush the breadcrumbs all over with oil and place on a baking parchment lined baking tray. Bake for 20 minutes. To deep fry, heat vegetable oil in a deep-fat fryer (or half fill a wok with oil) to a temperature of 170ºC (340ºF). Fry the eggs two at a time for about 4 minutes until golden brown all over. Drain on kitchen paper. Serve with salad and mango chutney.